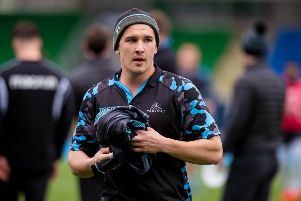 Chris Fusaro has signed a new two-year contract with Glasgow Warriors. The 29-year-old has been an ever present in Dave Rennie’s matchday squads throughout this season’s Guinness PRO14 and Heineken Champions Cup campaigns. The open-side flanker made his Warriors debut in 2010, which means his new deal will take his tenure at the club to over a decade. Fusaro said: “Next season will be my 10th year with the club and it’s been a huge honour to have called it my home for such a long time and to be able to continue to do so. 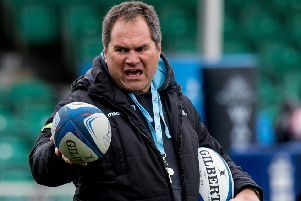 Head coach Rennie said: “I can’t speak highly enough of Fuzzy. On and off the pitch he is an incredible professional and our environment will only benefit from his involvement for the next two years.